I am now 7 days in!!! 1/3 of my 21 day challenge in consistency is complete and this is hard. 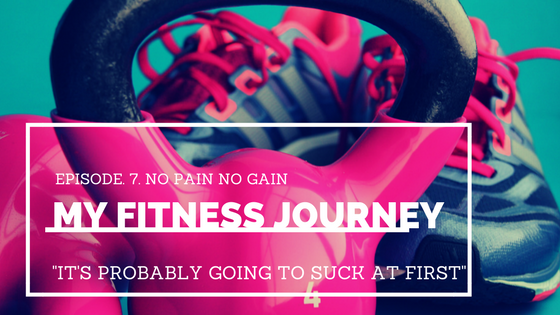 It’s hard because most days I have an ever so gentle hum in my conscience telling me that this isn’t going to work, that I won’t see any change in my body, that I won’t be able to keep it up, or that I’m not doing the exercises right. These thoughts are especially insidious because they aren’t loud and boisterous. If they were loud, clearly audible and visible they would be avoidable doubts I’d could easily see and steer clear of….instead they are teeny tiny and sneaky which makes them difficult to avoid and today was no exception. They make me feel like I can’t push through the difficult points in my workout and the make me feel like a failure if I quit. When I do push through they reply, oh yeah well I bet you won’t be able to tomorrow. I look forward to the day when this negative self talk is completely out of my system and will continue pushing until I get to that place! My workout today consisted of arms and legs, I couldn’t find my weights so I completed the arms portion with body weight alone, which was surprisingly still challenging. The legs portion of the workout was challenging as well and I had to stop and rest for a bit. I contemplated ending my workout early but decided to push through and after I rested I picked up where I left off. Tomorrow is glutes (which I have been struggling with) and abs. But I’ve noticed that each day things get a little easier so I look forward to eventually mastering that section as well.